Everything Just So: Christmas in New York 2013: Tiffany & Co.
Christmas in New York 2013: Tiffany & Co.
A Tiffany & Co. window on Fifth Avenue, NYC, November 2013. After a (long) stop at Bergdorf’s to take pictures of their holiday windows last month I of course had to go across the street to see the windows at Tiffany! I loved the dreamy shades of blue, the miniature townhouses and Manhattan skyline and, of course, the jewelry. I love the details of this miniature scene. Tiffany’s will always have a special place in my heart. When I first moved to Manhattan it was on my list of places to see, right up there with the Empire State Building, the Chrysler Building, and Rockefeller Center. It was such a thrill to walk in there for the first time and see those soaring ceilings, it really felt like one of those Pinch me, I’m in New York moments. The store was so big and beautiful, elegant and refined, and the jewelry made my heart stop. And the building itself felt so very Manhattan with its gorgeous spot right there on Fifth Avenue, with Bergdorf across the street, and Central Park a couple of blocks up. It doesn’t get more New York than that. I wish that sleigh would pull up to my brownstone apartment! My other favorite memories of Tiffany—aside from the shared memory of anyone who ever saw Breakfast at Tiffany’s—include times I’ve visited with my husband—he bought me one of their silver ID bracelets the year I turned 29—and the day I selected a pair of silver cufflinks for him for our first wedding anniversary. I have also had great times there with my mother over the years when she’s come to town and we’ve gone to look at all the beautiful things. Sometimes she even buys one of them! My mother taught me a love of fine jewelry so whenever I pass by Tiffany or go through its gigantic doors, I think of her. Do note the gigantic diamond engagement ring at the top right! Have you been to Tiffany’s in New York City? If you have any memories of the visit that you care to share, I’d love to hear them! I'm the opposite of you. I don't really care for fine jewelry and I only have a wedding band. Having been in NYC quite a few times over the years I have to admit I've never visited Tiffany's. I do love their window displays here though. 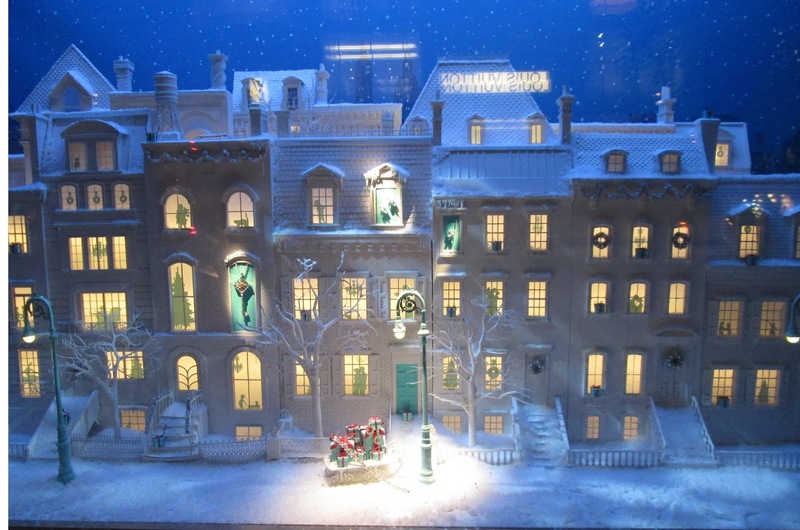 Another stunning set of Holiday windows! Shopping at Tiffany's is just such a "New York" experience. Even if you don't buy anything, it's just fun to admire the building, the displays and the jewels! Growing up, since my best friend and I had Dec. birthdays, our moms would take us to Radio City (at that time you got to see a show and a Movie). 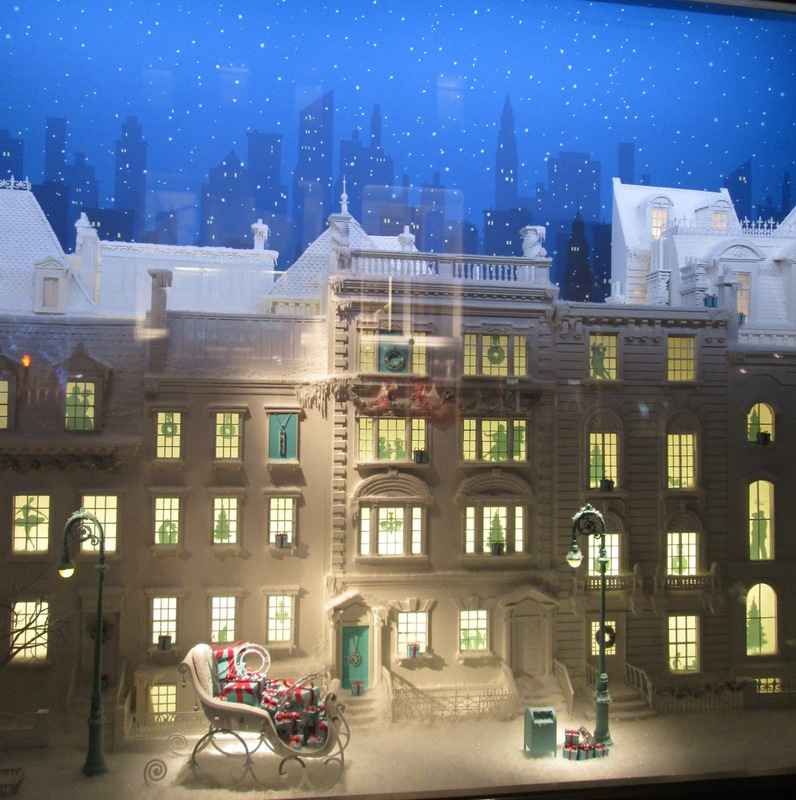 After that, we would walk up Fifth Ave. to see the Christmas window displays and Tiffany's was always one of our favorites. Tiffany boxes. When you say Tiffany blue. you know exactly what that color is. Jill, those are just beautiful window displays! Just magical!! I can remember nearly every time we've been in there, especially when I bought that silver bracelet and enjoyed watching the sales clerk wrapping it up with that Tiffany blue box and white bow. It's right up there with the trip to Cartier and visiting Ted...and the watches! Great memories. Thanks for sharing such beautiful pictures. Beautiful windows, Jill! The first time I was there it literally took my breath away...I was mesmerized. But I was pretty much that way with all of NYC the first time I visited! 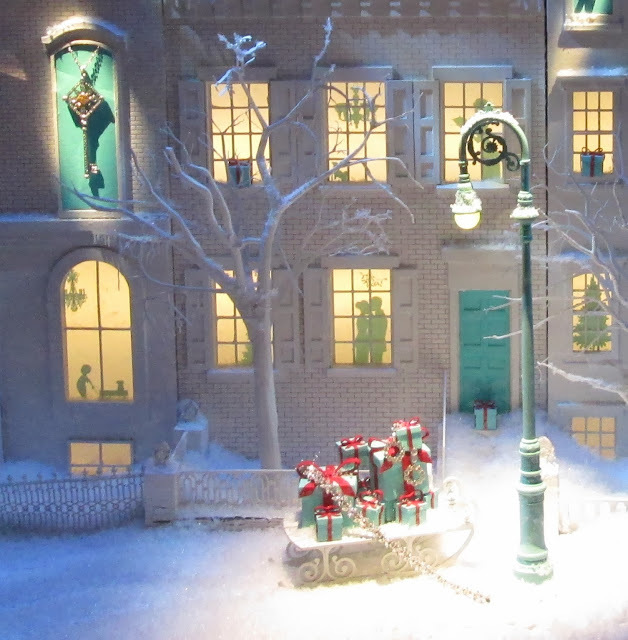 I just love viewing holiday windows and this one is magical. What great memories you have at such an iconic beauty. 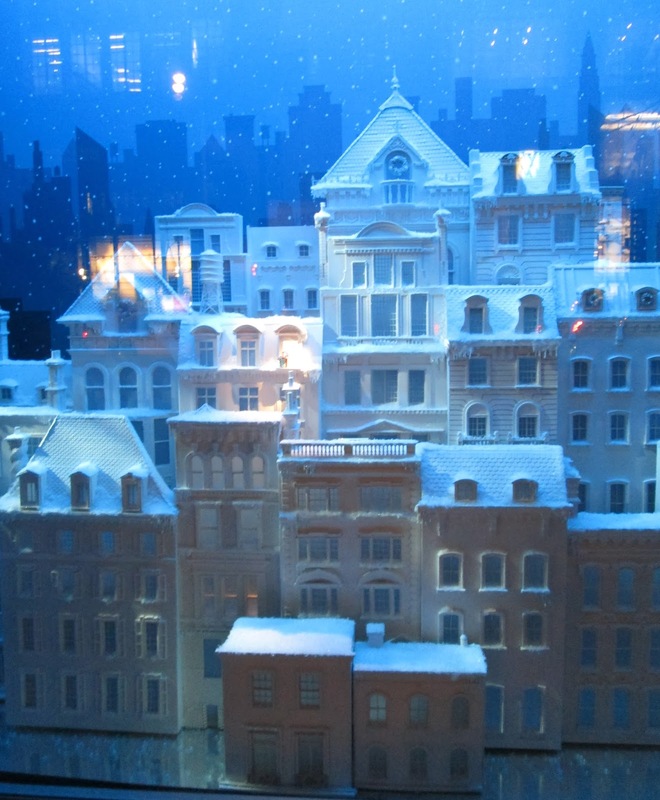 I've done some window shopping at Tiffany NYC and have a few fun photos from a couple of summers ago. Love this post. So gorgeous! I am pinning every image to my The Most Wonderful Time of the Year board on Pinterest. Beautiful holiday windows like these have always delighted me...as a child and today. Jill, Loved the Tiffany windows! Never been to the NYC one, but it's my favorite movie ever. Hope to one day. Also like the post about Ava and the diamonds. Here's to coming in to prime diamond wearing years..! I love the birthday wishes script!